Can’t pack on weight no matter what you do? 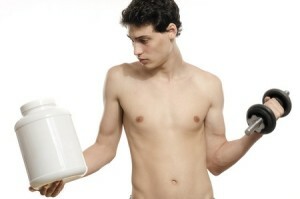 A hardgainer is described as someone who, try as they might, just can’t seem to gain weight. It doesn’t matter if they are trying to gain fat or muscle – they struggle to gain even a single kilo. If this describes you and you are currently aiming to build more lean muscle mass, you are going to need a game plan if you hope to ever see significant gains. The great news is that with the right approach, you can definitely put on the weight you desire and build a body you are proud of. The key comes with finding ways to sneak more calories into your day. Hardgainers have extremely high calorie intakes and if they don’t meet those intakes, they don’t gain weight. It’s that simple. So let’s take a look at some of the best meal tips that hardgainers can use to get started. One of the best ways to get more calories in? Puree your food. Okay, so I’m not suggesting you place your entire meal in a blender and just blend as that would be enough to put off even the most determined of individuals, what I am suggesting is that when you can blend foods together to make a sauce, do so. 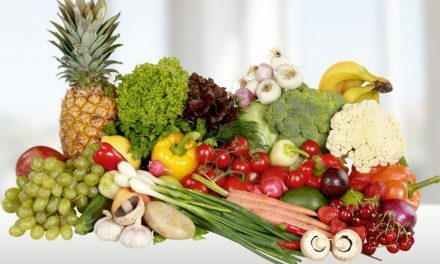 For instance, you need to eat vegetables in your diet plan for their health boosting properties. The problem is that they take up so much room in your stomach, it can be hard to get other calorie-dense foods in. If you blend them however, they barely take up any space at all. Essentially, you won’t notice they’re there, but you will still reap the health boosting benefits. And, this allows you to have more room to fit in those other calorie-dense foods. The next sneaky trick to get more calories into your day is to start adding nuts and nut butter to everything you eat – or almost everything (where taste will allow). Nuts can be added to cereal, salads, stir-fries, or other baked dishes, and nut butter can easily be added to sauces, smoothies, added to oatmeal, baked goods, and smeared over bagels, bananas, or apples. Nuts are a nicely balanced food containing protein, healthy fat, and a small dose of carbs, so are perfect for anyone trying to build more lean muscle mass. The next thing you might do is opt for higher fat milk products. While you do need to be careful not to drink too much homogenised milk as it’s rich in saturated fat, high fat coconut milk is another story. Coconut fat is very healthy for the body and will provide a highly concentrated source of energy. Start using it in your smoothies, to cook oatmeal, or anywhere else you might normally use milk. It is thicker however, so just keep that in mind. The calorie payoff however will be dramatic. Another quick swap in your meal prep that can add more calories is to swap out the bread you normally eat for bagels instead. Bagels contain over three times the calories that bread does, so can easily boost your calorie consumption in a hurry. They’re also great foods to pack on the run for fast energy when you need it. Finally, the last quick tip to help boost your target calorie intake is to swap out fresh fruit for dried once in a while. Dried fruit is very calorie dense and will provide a highly concentrated source of energy. It will still provide you with all the nutrients that you desire however, so you aren’t losing anything there. While fresh fruit can still be eaten, dried does tend to help you reach your calorie target more easily. So keep these meal prep tips in mind if you are hardgainer looking to build more lean muscle mass. If you change how you plan your meals, you might just find that you can start seeing greater success.